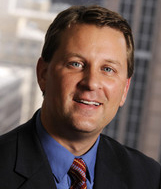 Jeff Nowak is a shareholder at Littler Mendelson P.C., the world’s largest employment and labor law practice representing management. Jeff represents employers in all areas of labor and employment law, but his passion is the FMLA -- he eats, drinks and sleeps all things FMLA! Every once in awhile, my posts must return to the nuts and bolts of FMLA, and this is one of ‘dem ‘dere posts. After all, I can’t always cover scintillating topics such as Beyonce concerts, bullies who abuse FMLA leave and whether FMLA covers excess trips to the potty. Cheers to the Seventh Circuit! When a manager learns that one of his employees is in the hospital for several days, that’s almost always enough information for the employer to have an inkling that the employee may need FMLA leave. But one employer didn’t think so. And the penalty for its mistake was costly. Let me explain. Comprehensive Analysis of New York Paid Family Leave: What Must Employers Do Now to Comply? Are you an employer located in New York? Or might you employ even one worker in New York?